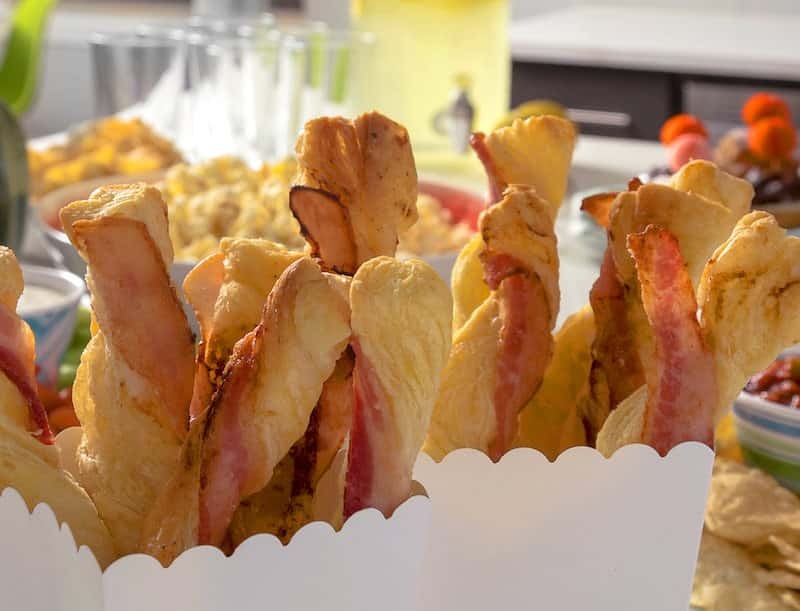 These glazed bacon and puff pastry twists are the perfect appetizers for game day! Bacon wrapped with parmesan and brown sugar – you won’t believe how tasty these are. They’re quick too. They need just 15 minutes in the oven! Have you ever been responsible for coming up with a delicious appetizer? 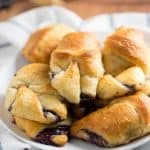 I’m hosting some family and friends at my house for game day this coming February, and I’ve got a tasty (and easy!) 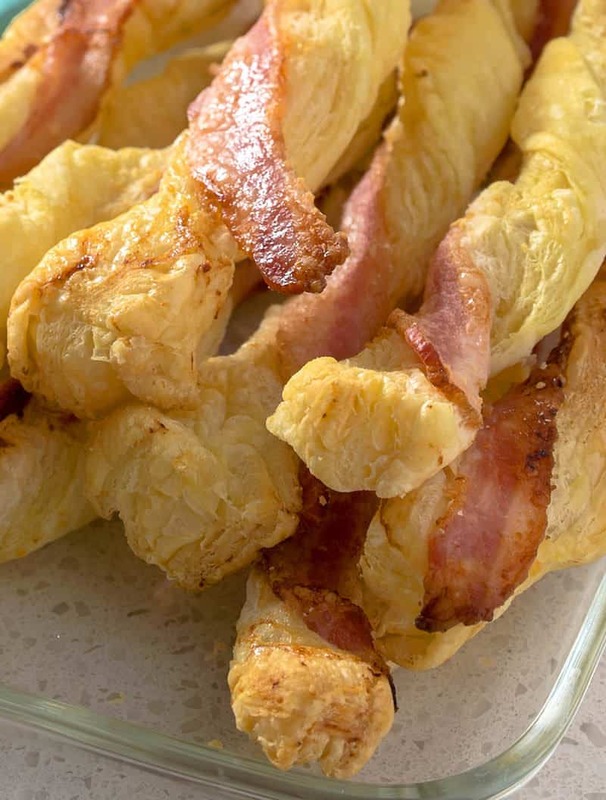 appetizer idea you’re going to love: Glazed Bacon and Cheese Puff Pastry Twists! They’re made with Wright® Brand Bacon – our favorite! My brothers and I have a joke that any appetizer is automatically amazing if you add bacon. 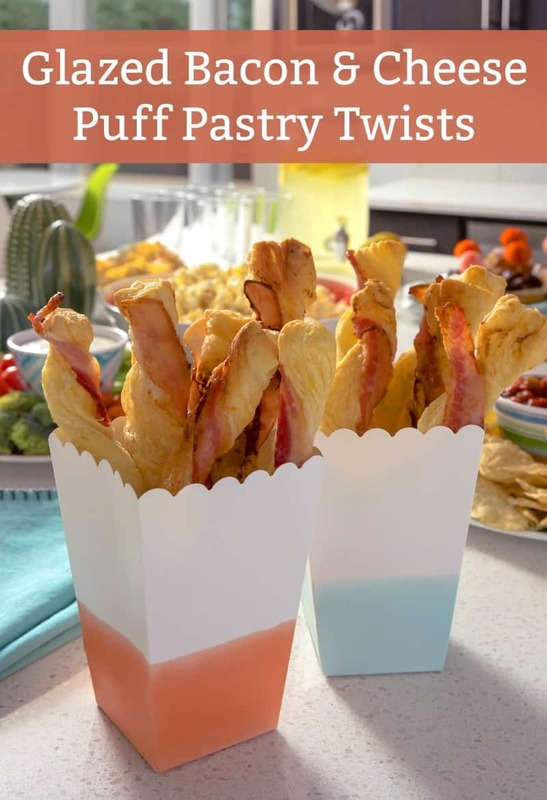 We’re always coming up with unique bacon appetizers to “impress” each other, and I think these puff pastry twists are going to knock it out of the park. The Wright Brand Bacon is thick (and hand cut! ), making it perfect for this appetizer. I can’t wait to debut these bad boys at the big game celebration! 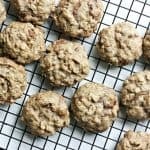 Here’s how to make them. You’ll purchase your puff pastry dough in the frozen section of Kroger. Let it thaw out for about 30 minutes before using. Line two cookie sheets with parchment paper or spray them with cooking spray. Spread out one puff pastry sheet at a time (two come in a box). You’ll want to place it on a work surface like a cutting board, which is what I used. Sprinkle about 1/8th cup of brown sugar and 2 tablespoons of parmesan cheese on your pastry sheet. Cut the sheet into 9 even strips using a knife. They don’t have to be exactly even – just get as close as you can. Puff pastry sheets are typically 10″ on the short end, so each piece will be slightly over 1″ wide. Use the kitchen scissors to cut the Wright Brand Bacon in half lengthwise. Place one strip of bacon on each puff pastry piece and twist. Place the twisted pieces on the cookie sheets and bake for 15 minutes or until crispy. So how do they taste? The brown sugar glazes the hickory smoked bacon quite nicely for a bit of a sweet taste – and the parmesan cheese is just a bonus. The softness of the dough compliments the crispiness of the bacon well. It’s hard not to eat an entire cookie sheet of these. Trust me on this one! 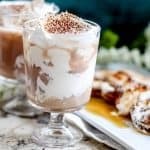 What I really love about this recipe is that it’s really quick to put together, but it looks like you put a lot of effort into cooking. 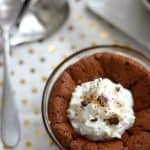 If your family and friends love homemade cooking, this is going to be a recipe that will make their mouth water for game day! You definitely don’t want to skimp on the bacon, either. Wright Brand Bacon is what you want because it’s exactly the right thickness. The Hickory Smoked flavor is just perfect. Want to make these tasty puff pastry twists? 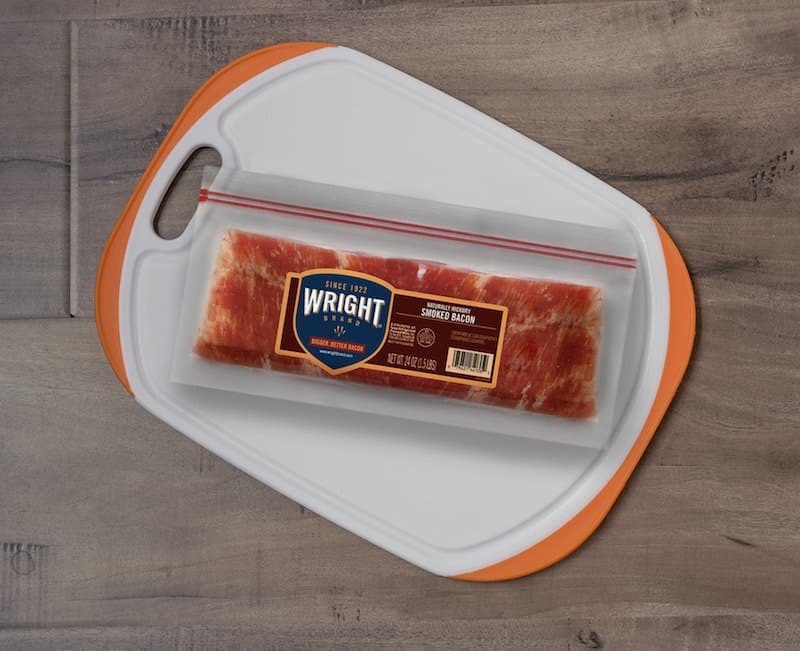 Get your ingredients, and the Wright Brand Bacon, available in the refrigerated section of Kroger! Let me know in the comments how you celebrate the big game with your family and friends. Do you love bacon appetizers like we do? Enjoy! Disclosure: This is a sponsored post written by me on behalf of Tyson Foods, Inc. All opinions are entirely my own. These look AMAZING! And Wright bacon is the only kind we buy–it’s the best by far!